The game looked so promising! 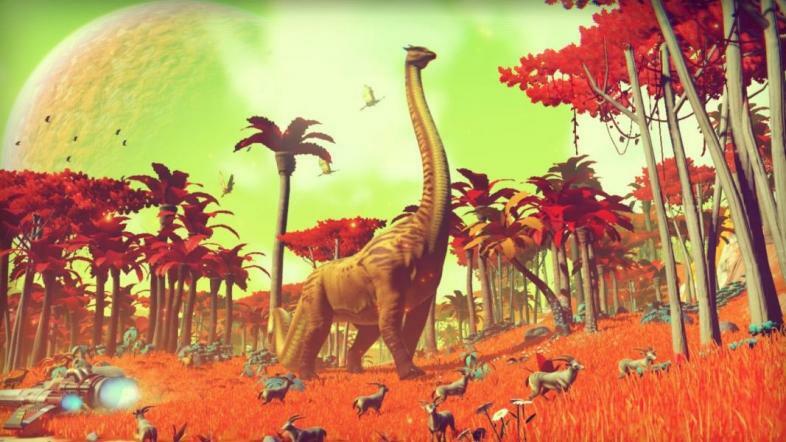 It was supposed to be the biggest hit of the year, so why did No Man’s Sky completely fail? Here are our 3 reasons. No Man’s Sky was released in August 2016, and it was planning on being a big hit. Hello Games promised infinite exploration with a virtually infinite amount of planets to explore. It sounded like it was going to be the game of the year. Then it was released, and was the biggest flop imaginable. Today, the game has mostly negative reviews on Steam. So what happened? Why did a game that was potentially going to be the game of all games turn into a big flop? Here are our 3 reasons. Hello Games promised in total over 18 quintillion planets to explore – 18,446,744,073,709,551,616, to be exact. At first, that sounds amazing – think of the possibilities and the varieties that those planets could give us! Well, the problem there is that the number seems like a great idea, but the quality of the planets therefore suffered. After exploring ten or so planets, it’s hard to ignore the repetition of the whole process. Which is a huge shame – because the initial idea seemed like such a good one, but in reality, it was just doing the same thing on similar planets that happen to have different trees and animals. Even the buildings are pretty much identical! Yes, there is a vague storyline that you can choose to follow, but generally there is no kind of feeling that you are making progress. You slowly but surely make your way to the centre of the universe, but seen as it would take around 5 billion years to fully explore, it could take quite a while to finally get to the centre. So, other than that, you just explore planets, fill up with fuel, explore planets, fill up with fuel… It’s very repetitive and you lose the motivation to carry on pretty early on in the game, unfortunately. When you first come across NPCs in the game, it gets very exciting. You barely understand them as you need to learn their language, and they give you useful items to help on your quest to discover the universe. However, after a few interactions, you realise that, actually, the NPCs are just item-dispensing machines. You give them 20 carbon, or whatever they want, and they give you some sort of upgrade or other item, if you answer their question correctly. They just stand there and wait for you to give them a correct answer to give you an item, and if you’re wrong, then you don’t get anything. That’s it. Then you are given texts descriptions of how NPC’s respond (such as “He looks at you angrily"), with no animations to show these happening, making it more of a book than a video game. It’s a crying shame that No Man’s Sky failed so miserably, as it seemed like such a promising game. I think it’s safe to say there won’t be a sequel to this game! A British Nintendo-geek at heart, I love creating, I love storylines, and I also love a good zombie fight or two. When not writing articles, you can find me playing games, probably with a cup of tea.